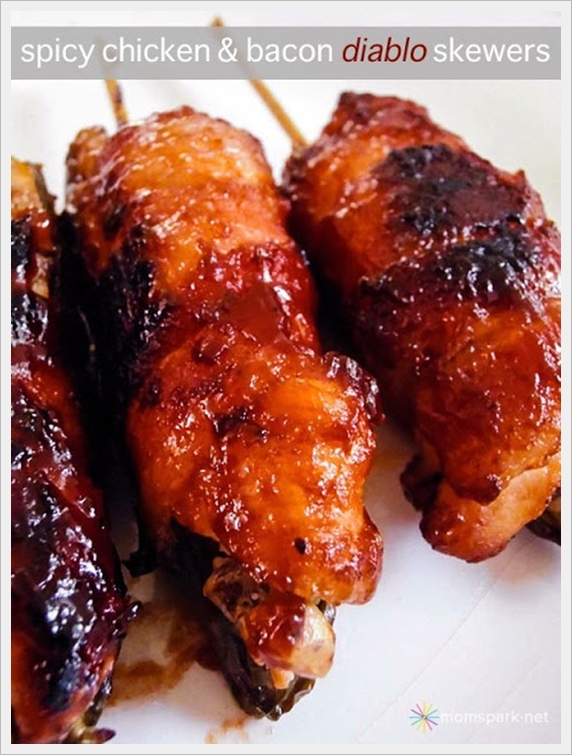 Last Saturday I posted this yummy recipe for Spicy Chicken & Bacon Diablo Skewers over at Mom Spark. Head on over to check it out. Hi Ali, these sound really great! Except, I'd have to leave out the "spicy" part! Thanks for answering my email about the nutella swirl banana bread…I hope to post about it next week.